Q: What is the operating distance of the eye tracker? A: Our Tobii Eye Tracker 4C works at a distance of 50 – 95 cm / 20-37”. Q: Can I use the 4C for just any game? A: No, the game needs to have integrated support for Tobii Eye Tracking or be eye tracking enabled with Tobii Game Hub. You can find all supported games on https://tobiigaming.com/games. If there is no support for your favorite games, please request them at the bottom of the page above. It is also recommended that you get in contact with game studios directly to request Tobii Eye Tracking support. Q: My eye tracker is not connecting, what can I do? A: If your eye tracker is not connecting it could mean that your USB controller is not providing enough power. The tracker needs about 5 - 6W for a few milliseconds to turn on its lights and it uses about 1.5 - 2W while in use. It's also recommended to use a USB 2.0 port to power the tracker. If it's still a no-go, please try using a powered USB 2.0 hub in order to provide more power for the tracker. Q: Does it work with glasses or lenses? A: Yes, unless you have glasses that have very reflective glass. Read more here. Q: Can I use it for research or analysis? A: No, this is against our terms of sales. You can, however, obtain a license from Tobii Pro to do so lawfully. To request a license, please email your details to sdklicensing@tobii.com. Q: Can I use it for assistive use, such as controlling my computer? A: The Tobii Eye Tracker 4C is compatible with Windows Eye Control which is a basic tool for assistive use. Tobii Gaming does not provide any assistive software, so for assistive technology eye trackers and software, please check out Tobii Dynavox. Q: What is the maximum screen size it works with? We do not recommend that you use a larger screen. especially for our Windows Interaction features, but for some gaming features like Extended View it would work pretty well. Q: I can see red lights on the eye tracker, is it safe? A: Our eye trackers use Near Infrared light which is completely safe for the human eye. You can, for example, find Near Infrared light in our natural environment for instance in fires. 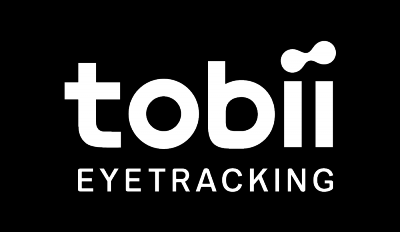 Q: What is the Tobii EyeChip? A: The world’s first eye tracking ASIC and located on the eye tracker, the EyeChip contains all Tobii algorithms necessary for eye tracking computation. The addition of EyeChip significantly reduces power consumption, CPU load and data transfer between the eye tracker and its host computer. Q: What’s the data rate? A: The frequency is 90 Hz which means the Tobii Eye Tracker 4C tracks where you look 90 times per second. Q: Is it possible to use a Tobii Eye Tracker together with TrackIR? A: We cannot recommend to use them simultaneously as we have seen issues where they can interfere with each other, however, we have received positive user feedback. Q: What sort of head tracking does it support? Position: X, Y, and Z.
Rotation: X, Y, and Z (pitch, yaw, and roll). Q: Will it work on curved screens? A: Yes, it works on curved screens, but we currently do not provide mounting plates that are tuned for them.